Thank you so much for having me, and I want to say a big “Hello” to everyone out there. The reason why we are here today is that I’m really excited to share how you can take advantage of some very popular trends and also emerging technology. This emerging technology is going to allow you to make money and grow your business in ways that you were never able to do before. By getting into the forefront of this trend, where people are spending millions, billions, and even almost trillions of dollars within these industries, you are going to be able to grow your business. 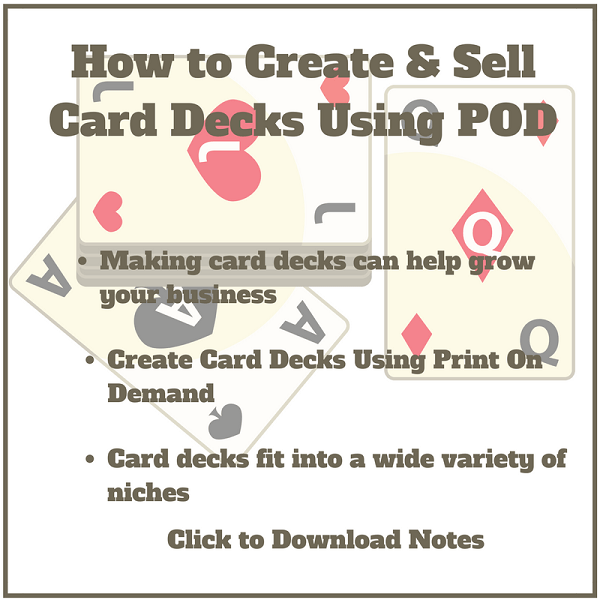 What’s really exciting about card deck publishing is that it is at the crossroads of two trends. First of all, there’s eCommerce. I’ve been doing some research recently on eCommerce, and eCommerce is an “over-a-trillion dollar business” now. It’s going to continue to grow even more as we get into 2018-2010. That has crossroads with self-publishing, and self-publishing is a multi-million dollar business, and it’s getting close to becoming a billion dollar business. Card deck publishing is really a hybrid, or a marriage, between the two of these.